In terms of creating marketable online videos, there is something hot that everyone is talking about. It is much related to the type of online video you may want to generate. 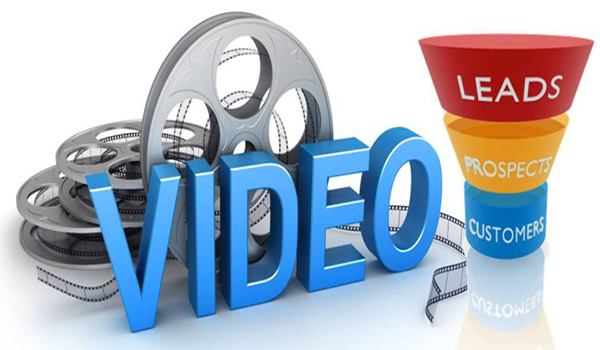 There are ways videos can be most beneficial to online visitors. For instance, people can enjoy learning new things when viewing a long tutorial video. This video can explain about the multiple benefits visitors can get from a certain product or services. Others would be most comfortable sitting while watching an interview video with a great topic being discussed. Unfortunately, many well-crafted promotional videos are quite long but they don’t project a meaningful script. Normally, if a small company has partnered with a production enterprises and it pays significant fees, that company perceives that it earns more profits if a video is longer. Unluckily, the impact would exactly be the opposite outcome. Why? Because a reasonably short promotional video which lasts for a hundred seconds is more acceptable to watch compared to a 5-minute production. TubeMogul refers to the online services that provide remarkable analytics that gauge the success of online videos being watched by the visitors. In 2008 study, for more than a couple of weeks, TubeMogul conducted an online search about the leading and most reliable video-sharing websites. Their report showed that 50% of the audience watched videos which lasted for 60 seconds. It had around 10% of visitors who wished to move to another website after spending ten seconds. Although this report was created years ago, still there were related things to be discovered. As videos continued to become a vital part of website content, it was later identified that the best videos with quality results were the ones that could engage with the people and quickly get their point of view. It’s true that Tubemogul has more interesting topics to discuss about. Keeping track of your chosen videos will guide you to know the people who watch them and the duration of time they view your created video. You can produce the best video if you will see that visitors are interested in watching no less than 75% of your video content. On the other hand, if you figure out that only a minimum percentage of your video content is viewed, then examine the techniques you apply on your videos. You may not be using techniques that are helpful or marketable. To help you out with your video creation, we’ve prepared some tricks to assist you in producing meaningful videos. Sure you can create remarkable videos that are attractively engaging. In due course, you must employ the most accurate analytical tool in giving the overall feedback on the videos viewed by your visitors. You can take advantage of Vimeo and YouTube websites. Each site has its own helpful analytic tool proven to be very useful. Give focus mainly on the “average view duration” which is parallel to the average minutes viewed per play on a particular video content. It includes the region as well as the date range. One of the most effective ways in creating online videos is determined on the average shot length ASL. Average shot length refers to the time used on one shot of a video, normally applied in TV’s and movies to produce valuable advertisement. For instance, your 2-minute online video can be divided into eight varying shots—each with 15 seconds to play. It is highly recommended to practice this thing with diverse shot lengths to maintain the excitement of your visitors. Having a longer video that showcases only one idea can be divided and separated into parts with the help of visual effects like images, charts, graphs and others. Through this, your camera is not limited to focus only on your most important subject. We’re giving you good guidelines that fit the 5 most common video types being used today on the Internet. Do you want to explain the good benefits of a product or services? The application of tutorial videos is highly recommended. There are plenty of software companies that have video tutorials in reaching out to potential customers. To search for the relevant videos, simply key in “how to…” followed by a specific niche in YouTube. In less than 3 seconds, tons of videos will show up on the search page. What to do? Tutorial videos are one type that can intrude upon the normal video rules. Your tutorial content should take the reasonable length of time but try to avoid some repetitions. If the visitors are really looking for the right information, they are going to watch the whole video content to figure out the right answer. A pitch comes first in introducing your company, including your goods and services. Meeting prospective customers personally will give you success and you’ll be able to convince them that you’ve got the best product in town. Your pitch video is something that elaborates the uniqueness of your business—explaining how it solves the major issues that are happening in the market. What to do? Create a 90-second (or less) video. If you’re not convinced, consider the big success of “Dollar Shave Club” video. It’s there in YouTube website and it runs at approximately 95 seconds only.
. Services videos are used for the purpose of convincing visitors to provide their email address to take advantage of the free goods and services. Mainly, the objective of this video is to gather as many email addresses as possible. Sooner, these emails can be utilized in sending promo products and services through the online advertisements. What to do? It’s best to maintain this video 45 seconds or less. To maximize your time, go straight to the point and briefly specify all the benefits from the things you offer. Testimonial videos increase the level of your credibility that can be so attractive to the viewers, and the primary beneficiary will be your business. For the benefits of new customers, buying your product or receiving your services can be easily done once they saw the testimonial videos of satisfied consumers. What to do? Simplify everything and keep it as short as one minute or less. Having a 3-minute testimonial can be too long and it may not get more effective result. According to studies, a 3-minute (or more) testimonial video is less effective than a 60-second testimonial video. When it comes to meaningful tools in informing the market and your potential consumers, the role of interview videos is very important. In similar manner, interview videos are helpful in elaborating difficult topics and ideas. Your business will gain more credibility once the “key person of influence” is engaged in this interview video. What to do? Longer time is required if you will produce an interview video. The components such as the number and kind of questions and the topic make this video lengthy. But if you think that the interview seems too long, edit and take away some parts of the video to shorten it a little bit and make it snappier. It doesn’t matter how amazing your video is, before your visitors click on the play button, first they will determine whether your video is worth watching or not. If you follow the above tips, chances are you’re getting the most of your online video marketing. Plan well before creating your next online videos!